Excellent hike, and a lot of fun!! 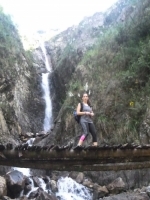 A nice hiking and a lot of fun ! Machu Picchu was in the plans for a long time and definitely exceeded expectations ! The landscapes are awesome making the hike extremely pleasant. 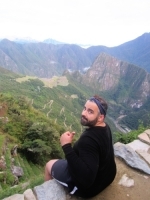 I was dreaming about doing the inka trail hike and seeing the machu picchu since ever. I can say that this trip made my dream come true. 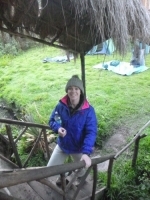 The hike is really nice, the team is excellent, our porters and staff read every wish from our eyes. 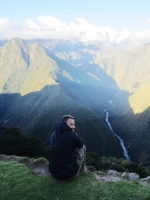 Hiking the four day inca trail is a tough experience. I wouldn't take it back for anything. It was one of the most beautiful experiences of my life. 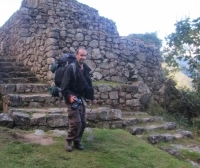 And there to guide you on the difficult journey are the porters and guide from inca trail reservations. Ir à Machu Pichu pelo Caminho Inca foi uma experiência única e inesquecível. A cada dia foi necessário superar meus limites e ir sempre um pouco mais além. São quatro dias de muito esforço (principalmente o segundo hehe) conhecendo lugares históricos e aprendendo mais sobre esta incrível civilização. My time in Peru has been nothing but fun. Everywhere we went was amazing and everything we did was incredible. Carlos was an Excellent Guide who made the whole experience even more memorable. 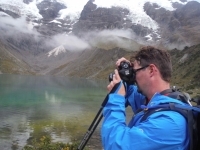 His knowledge of the history and culture of Peru impressed me and left a strong impression. nous voila au premier jour et tres tot le matin. Cuzco se reveille gentiment, les leves-tot sont déjà au travail et nous patrons en bus direction la premiere etape de notre adventure. It was a very good experience, with beautiful scenery. All of the staff were really friendly, the food was awesome! We ate a lot of kind os food, troute, meat, pasta, and everytime it was perfect, and that's really important! All of the was friendly, we were four swiss people with six amercan, our English is now meaby better !!!. 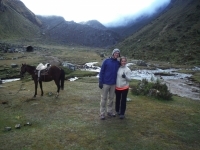 It was a good approach to walk around the Salkantay to discover the Machu Picchu. An experience that will stay in my memory.The relationship with the people who help us to make this trip was simply a great experience. Shopping was great so many opions and great value. 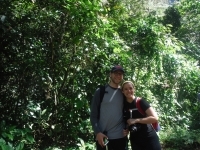 A lot of fun with great sights and very good hikes. Really enjoyed the food each meal (delicious and plentiful) and loved meeting the other participants. My favorite was the hike the second day. Very tough but so satisfying once we got to the top. 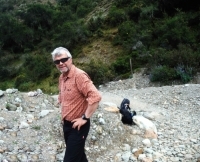 Great climb up the mountain on second day.Hard to write much about Machu Picchu because we have not yet climbed up yet. Lots of great experiences and good hikes. Aguas calientes is a quiet town, not much to see. Carlos was amazing. Great views.First night campgrounds had amazing star gazing. I recommend jumping in the lake. Best day hike was the second day. Absolutely beautiful. Crazy landscape Changes made it seem like 6 hikes in one. 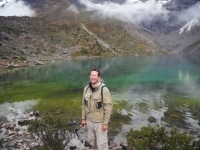 Epic Days in the Andes! This was some amazing times in a beautiful part of the world. I took some amazing photographs, ate some fantastic food and met some great people on our hike. 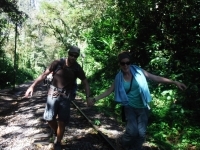 Our guide, Carlos, took his job and his culture seriously but kept the attitude light and fun. I definitely learned a lot about the Quechua people. I can't put into words how amazing our journey at Machu Picchu was, and how much I appreciated Carlos as our guide. 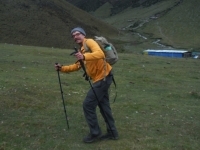 He was very knowledgable about every area of the trek, and made sure everyone had an amazing time. 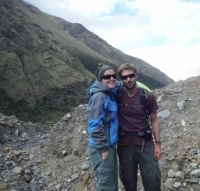 I can easily say that the Salkantay trek was one of the most amazing adventures of my life! It was an experience that I will never forget and the trek had the most amazing views!. 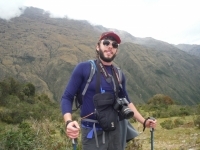 I just completed the 4 day trek to Salkantay and had the best time! It was four of the most challenging, rewarding, and fun days of my life. Our leader was very helpful and encouraging, the food is was delicious, and it was so nice that I did not have to think or worry about any of the logistics.